Click here to view information on seven different coyote killing contests scheduled to be held this year in Indiana. 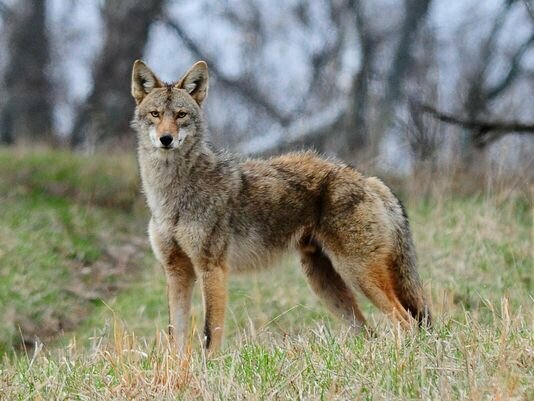 Note: CWE previously reported two scheduled coyote killing contests but subsequent research has uncovered a whopping SEVEN contests in Indiana in 2019. LA PORTE, IN, December 27 – Currently, two* coyote killing contests are scheduled in Indiana in early 2019. Coyote killing contests/derbies award prizes to teams of hunters for killing the largest number of coyotes and the largest individual coyote. [*CORRECTION: At the time of this release, CWE was alerted to the existence of two coyote killing contests, but CWE’s subsequent research has uncovered a whopping SEVEN contests in Indiana in 2019.] These competitions disrupt the vital role coyotes play in healthy ecosystems, encourage mass slaughter, and glorify killing at the expense of ethics. The Center for Wildlife Ethics (“CWE”) is urging the Indiana Department of Natural Resources (“IDNR”) to intervene and end coyote killing contests given the agency’s concerns surrounding the imminent threat of Chronic Wasting Disease (“CWD”) in Indiana’s white-tailed deer herd. As reported in the Indianapolis Star (December 22, 2018), CWD is a deadly, potentially devastating disease that will be “a permanent drain on resources to manage”. 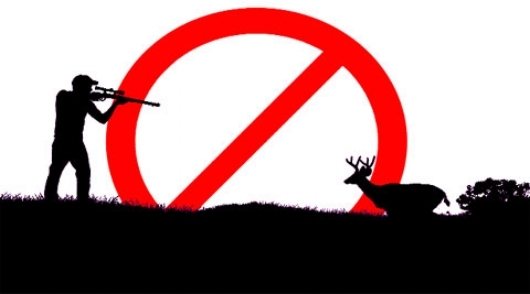 IDNR, the regulatory agency tasked with preserving and protecting Indiana’s wildlife resources for the benefit of all citizens, should ban all contest killings of natural predators given the whole state is simultaneously on high alert for the arrival of CWD in its deer population. 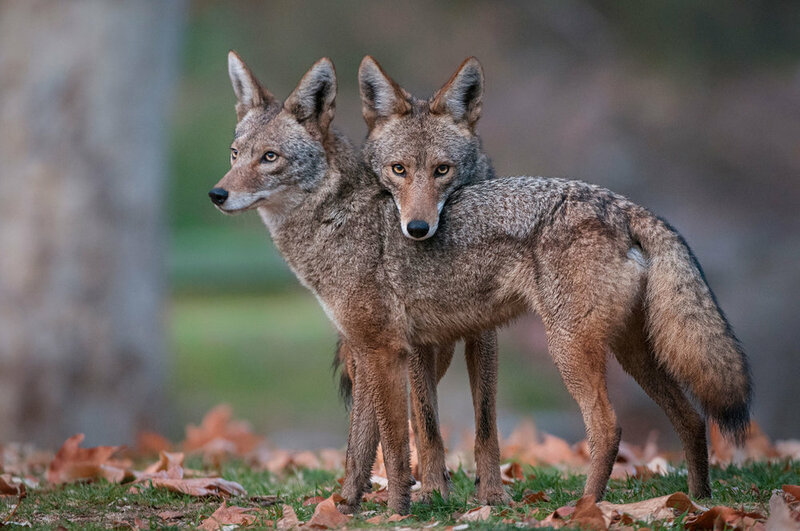 Click here for additional information specific to wildlife killing contests in general and here for a statement from conservation scientists about coyote killing contests specifically. Details about the upcoming coyote killing contests may be found here. Founded in 1998, The Center for Wildlife Ethics is a 501c3 public interest organization that champions effective environmental activism by targeting systemic harm that sustains the violence and exploitation of animals and their habitats. Additional information can be obtained by sending a detailed request to Laura@centerforwildlifeethics.org. Shocked CWE Director finds trespassing hunter and the deer he killed in her backyard. Will justice prevail? The trespasser planned to use this cart to remove the deer he killed. On November 19th, I ran a quick errand and returned home to see a man running through my backyard, in broad daylight, pushing some type of cart. Alarmed by this unwelcome and unlawful intrusion, I ran out on the deck and asked him what he was doing. This stranger, visibly angry that I was questioning him and challenging this trespass, started shouting about his need to retrieve a deer he killed. The hunter indignantly insisted I wasn’t “supposed to be home”. The fact that the stranger seemed to know my schedule and addressed me by name was incredibly unnerving. He had apparently killed the deer in my backyard and rightfully assumed that I would not grant him legal permission to enter my property to retrieve the buck. I took his photo and demanded he leave the property. I called my husband, Ken, notified both the Indiana Department of Natural Resources (“IDNR”) and the local sheriff’s office, and then went to speak with my neighbor whose land the man supposedly had permission to hunt. She wasn’t home or didn’t answer the door. I photographed the hunter’s truck and license plate to share with law enforcement. After arriving back home, I went out to determine how much damage the hunter caused. The search did not take long. I found a magnificent buck near a large puddle of blood next to a well-worn walking trail right outside our back door. There was no blood trail to be found outside of the immediate area where the deer collapsed which indicates this deer was shot while on our land. The scene of the deer’s death. Along the fence line dividing the properties, approximately 25 feet from a visible “no trespassing” sign, sat a half empty bottle of beer – beer the hunter was presumably drinking while he sat on the fence line, watching and waiting for me to leave the house that day. When law enforcement arrived, Ken and I led them to the deer’s remains. Horribly shaken by the confrontation with the trespasser and the deer’s death, I reluctantly permitted DNR to take the deer but insisted that the antlers should be removed first. I was not comfortable allowing this poor deer to become someone’s wall ornament. With a heavy heart, Ken grabbed the hunter’s deer cart and assisted the conservation officer (“CO”) in loading the deer in the back of IDNR’s truck. He then proceeded with the ghastly task of removing the animal’s antlers. 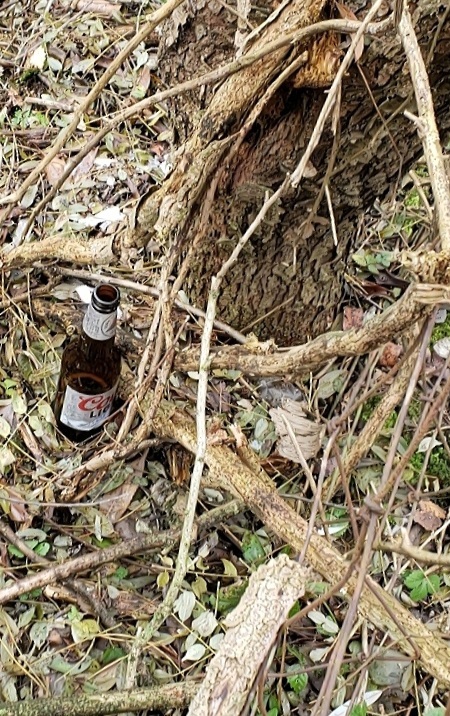 Hunter’s beer bottle left behind on the fence line. Before leaving, the CO assured me that misdemeanor charges would be filed against the hunter for his intrusion on our private property. A week following this incident, I called the CO's supervisor for an update about pending charges against this man. While the Lieutenant told me charges were being filed, he was unable to provide copies of the investigative records and any prepared report(s). Instead, I - the victim in this matter – was instructed to file an Indiana Public Access to Records request, a process that can, and often does, take the agency months to complete. To add insult to injury, the costs for any copies of records generated by this information request are to be imposed on me before any documents will be released. The Lieutenant also stressed, when asked if the hunter was still able to hunt, that IDNR cannot revoke hunting privileges. This, of course, begs the question: if the agency that issues licenses cannot revoke hunting privileges, who can? My family has been severely harmed by the hunter’s outrageous behavior; our peace has been shattered. We valued that deer greatly, alive, and warmly welcomed him on this small, safe haven of land. We cultivated a trusting relationship with him, and all the animals who frequent our property. We delight in their presence. The deer sightings on our property are now rare. We are left with a lingering reminder of this stranger’s disregard for the law, his sense of entitlement, and his blatant violation of our sense of safety and security. UPDATE: According to Mycase.IN.gov, the hunter has been charged with a criminal misdemeanor (Fishing/hunting/trapping/chasing on Private Land without Landowner Consent; I.C. § 14-22-10-1). 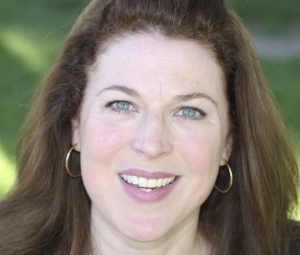 Center for Wildlife Ethics is pleased to announce that experienced wildlife and environmental advocate Karen Purves has joined the organization’s Board of Directors. Karen contributes to CWE's life-saving mission in a variety of ways. In addition to serving as a board member, Karen brings a creative and strategic perspective to the organization's various initiative and provides expertise in communication and engagement with the wildlife advocacy community as well as external audiences. Karen brings a diverse and practical set of skills to CWE, which she has developed working with local government, in the non-profit sector, and in founding her own organizations. While she has spent much of her career specializing in communications, she has a great deal of experience advancing environmental and sustainability initiatives, working in animal protection, and coaching and curriculum development. Based in Las Vegas, NV, Karen is an energizing and award-winning public speaker and is internationally-recognized for her work at her company, innovative impact. In her well-rounded career, Karen has applied her Master's degree in Environmental Public Policy from the Claremont Graduate School. She is also a graduate of Pepperdine University, where she obtained a Bachelor's degree in business administration. As many subscribers will recall, IDNR proposed a bobcat hunting and trapping season earlier this year in its rule package (LSA #17-436). 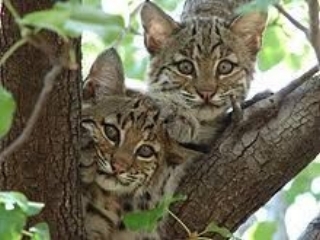 Following strong opposition during the public comment phase of the rule-making process - including your efforts - the provisions implementing a bobcat season were withdrawn by the agency. Despite IDNR’s public claims that it had no immediate plan to reintroduce another proposal, its recent actions directly and deliberately contradict this claim in two important ways. First, on October 2nd, 2018, IDNR hosted a meeting of more than 50 hunters and trappers who gathered in Velpen, Indiana specifically to renew the discussion about implementing a bobcat hunting/trapping season. This meeting was co-hosted by Indiana State Representatives Bartels, Bacon and Landauer. Apparently, Indiana citizens who value these animals alive never received an invitation or notice about this event. Second, IDNR is conducting a communication workshop* on October 30th, 2018 entitled: "Communicating Your Message – Workshop for Wildlife Professionals." Topics include “Working with the Media about Controversial Topics” and “The Science of how People Interpret Messaging”, including, more specifically, “harvesting bobcat”. Workshop attendees will be tasked with preparing a message for specific audiences, ostensibly, the non-hunting public, to apparently assist IDNR in reframing the message to manipulate the public with its misguided ideas about the alleged need for a hunting season. Another meeting between hunters, trappers, and IDNR is tentatively planned in Ferdinand, Indiana. No further details are available as IDNR is allegedly keeping this meeting quiet to limit attendance to local citizens – presumably code for the recreational killing crowd. It is anticipated that Indiana legislators will also be in attendance so backroom lobbying can continue without any distraction or noise from attendees with opposing viewpoints. 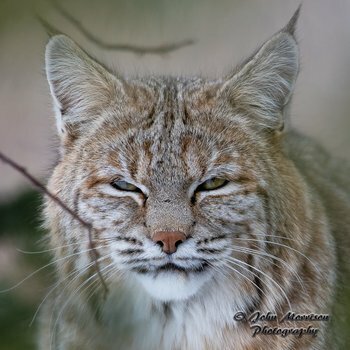 Since it is unclear if organizations finding a bobcat hunting and trapping season scientifically unfounded or individuals morally opposed to the expansion of recreational killing will ever be informed of and/or welcomed at these upcoming events, such gatherings strongly infer an "us" vs. "them" mentality. These meetings highlight the agency’s preference to ignore the input of 96% of the Indiana citizens who do not hunt. Center for Wildlife Ethics has petitioned Indiana’s highest court to hear an appeal in Liddle v. Clark, a case involving the death of a park patron’s dog in a body-gripping trap at Versailles State Park. The trial court found the Indiana Department of Natural Resources negligent for failing to warn the public about the hidden, deadly devices. However, the court failed to acknowledge that the property negligently destroyed in this case was unique and irreplaceable – a beloved, senior, family dog – the value of which cannot be measured by some fictitious “market”. The Indiana Court of Appeals agreed with the trial court’s unprincipled distinction between living/animate and inanimate property. And while the law allows plaintiffs to recover sentimental damages for nonliving property that has no “market” value (e.g., family heirlooms, etc. ), the courts failed to extend that same valuation to companion animals. The absurd result of this ruling is that an irreplaceable photo of our plaintiff’s dog, Copper, could be valued higher than the actual dog herself in the State of Indiana. CWE petitions the Indiana Supreme Court to reconcile this untenable legal position and recognize that the actual value of a companion animal is often sentimental in nature and stems entirely from the shared bond between the guardian and his or her beloved dog. 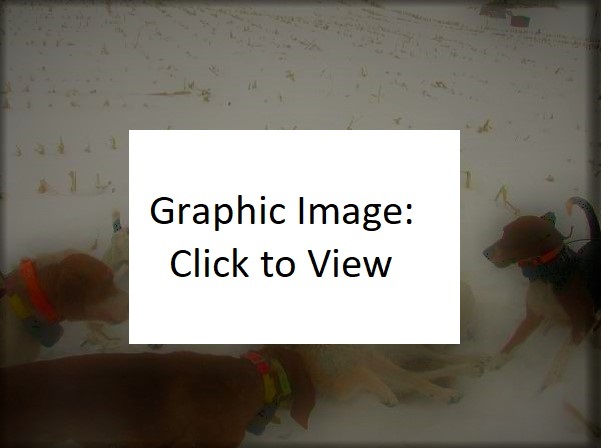 This month, Center for Wildlife argued an appeal in its state park dog trapping case, Liddle v. Clark, before the Indiana Court of Appeals. The oral argument was well-attended, an indication that the legal issues of damages for the loss of a companion animal and public interest standing [challenging IDNR’s reckless policies] are matters of particular public importance. 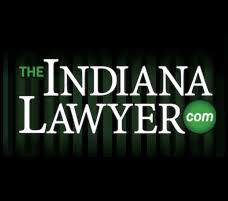 CWE was pleased to learn that The Indiana Lawyer published an article about the appeal describing the critical issues raised in this case and the exchanges that occurred between the attorneys and judges in the courtroom. CWE is grateful for this coverage, but we feel compelled to note a few important clarifications. Fair Market Value (“FMV”) analysis cannot apply in this case. FMV analysis is “[un]fair” because it fails to make Ms. Liddle whole – i.e., it fails to satisfy the primary legal and policy directive guiding tort law. 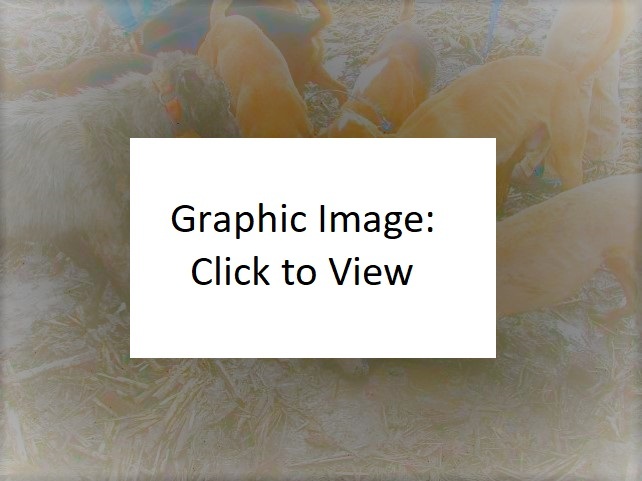 No “market” exists for Copper – an elderly, mixed-breed, sterilized, family companion animal. Copper’s “value” to Melodie is based entirely on their loving companionship and shared experiences. The lower court’s FMV damage award ignores this reality. IDNR, as a steward of public lands, lacks the statutory authority to authorize commercial fur trappers to maintain traps and privately profit off the sale of the skins of animals captured on our public lands. This fact cannot be changed by a rule adoption. CWE will continue to provide updates on the progress of this important litigation. The full oral argument in this appeal can be viewed here. We are pleased to announce that there has been an exciting development in the CWE’s ongoing litigation, Liddle v. Clark, et al. As you may be aware, Ms. Liddle filed a lawsuit against DNR (Indiana Department of Natural Resources) when her dog, Copper, became ensnared and died in a raccoon trap hidden in Versailles State Park. This situation occurred as a result of DNR’s practice that allowed commercial fur trappers to use public lands for trapping without informing the public. Yes, this policy enabled trappers to scatter these deadly devices throughout Indiana State Parks without so much as a cautionary warning of the obvious danger to families (and pets). On April 25th, 2018, the Indiana Court of Appeals’ Chief Judge Nancy Vaidik scheduled an oral argument that will enable CWE to further develop two important issues: 1) that the trial court improperly limited the value of Ms. Liddle’s beloved companion to the value of a replacement dog, and 2) that the trial court wrongfully rejected the argument that DNR’s policy that allows commercial fur trapping on state park properties is an improper use of these public lands. 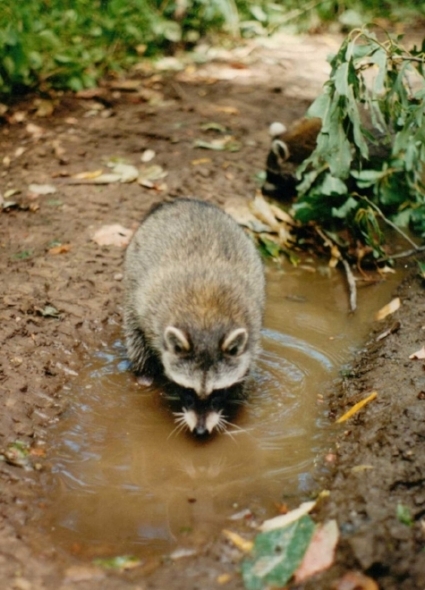 This appeal will build on the success of CWE’s victory in 2017, in which the Marion County Superior Court #2 ruled that the State of Indiana was negligent for failing to make any effort to warn park patrons that their employee, a commercial fur trapper, had maintained hidden wildlife traps throughout Versailles State Park. This appeal has great significance for animals and the public’s use of state parks. As a public interest organization, CWE is both honored and grateful that the Appellate Court appreciates the significance of Ms. Liddle’s claims and welcomes further discussion surrounding these important issues. On May 25, 2018, the Indiana Court of Appeals granted Liddle’s Verified Motion to Allow Appellant Thirty Minutes for Oral Argument. The oral argument will take place on June 8, 2018 at 1:30 (ET) and is scheduled for web-cast at: www.IN.gov/judiciary. On November 3rd, 2017, Indiana Department of Natural Resources (“IDNR”) issued an Emergency Rule (“ER”) to abolish current state law that serves to prohibit rifle use on public property (state and federal land). This agency action follows widely published media reports about a “mistake” in recently adopted legislation (H.B. 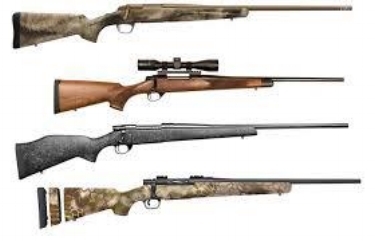 1415) authored by Rep. Sean Eberhard, R-Shelbyville that limits rifle use to private lands. Eager to remedy the mishap in time for deer hunting season, IDNR has turned to the temporary “emergency” rule process as a “quick fix.” The ER evidently enables the agency to thumb its nose at the legislature, or more importantly, the will of the people. This temporary rule making process apparently allows IDNR to subvert the General Assembly with a simple stroke of the pen. One must reasonably question the validity of this legal maneuver and how a purely political issue could possibly qualify as an emergency situation.